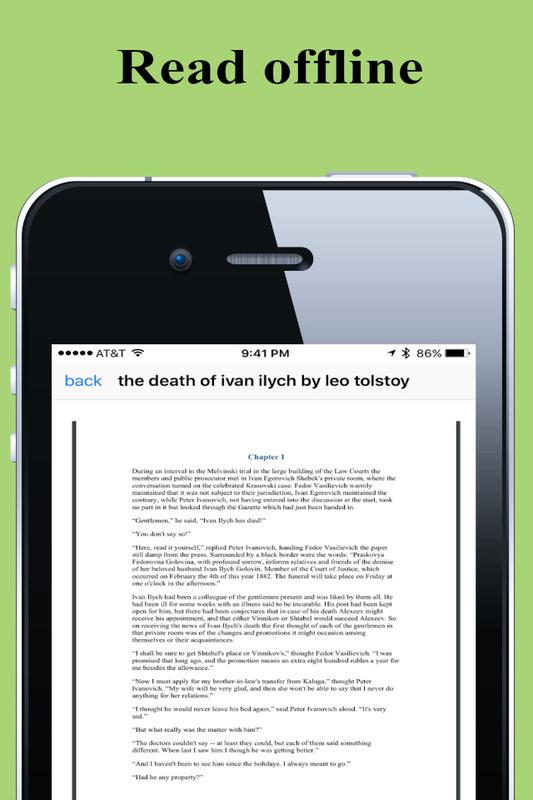 If Generation Next is supposed to question everything and trust no one, where does faith fit in? Consumers demand that their food be pesticide--free, their cosmetics and shampoo be paraben-free, and that everything possible--from clothes to toilet paper--be made without additives or chemicals. But there's nothing that has more additives to the original product than Christianity. 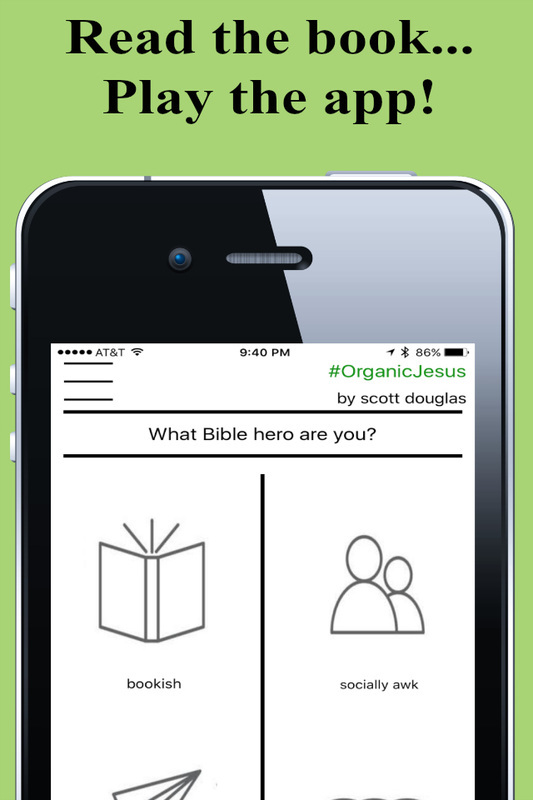 How do we get back to the 100% organic version of Jesus? 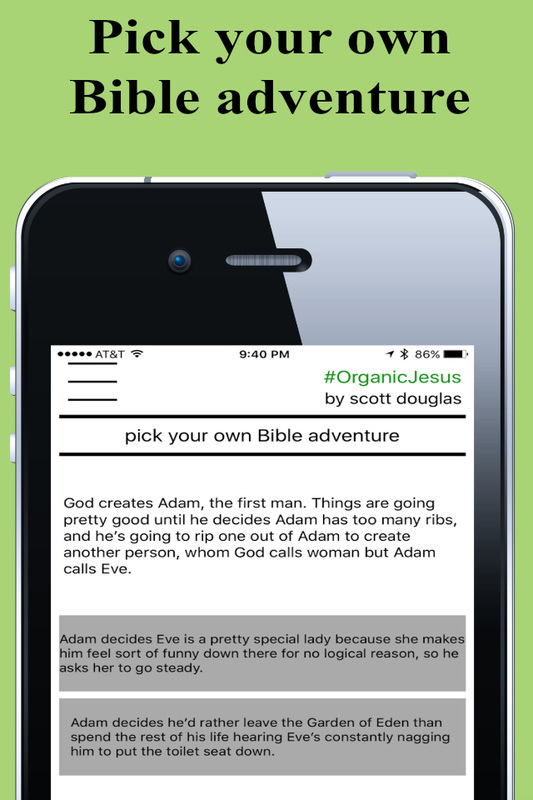 The official app companion to the book #OrganicJesus offers fans and questioners of the book alike a chance to explore hours of bonus content (from free books to lots of fun and games). © 2016, Scott Douglas. All Rights Reserved.